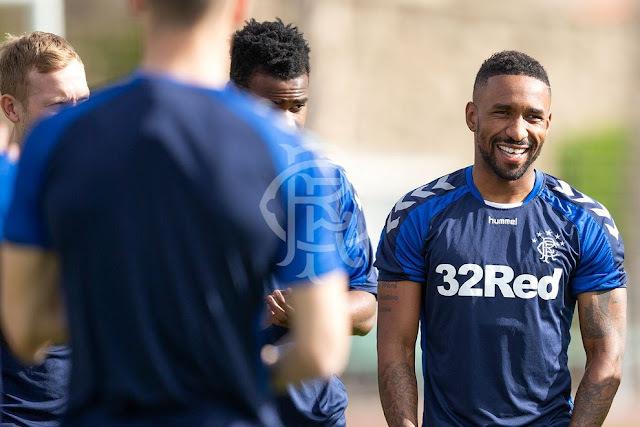 Jermain Defoe has said he is "hungry" to achieve something special at Rangers and prove any doubters wrong. The 36-year-old has joined the Scottish club on an 18-month loan deal from Bournemouth after struggling for regular minutes this season with the Cherries. Defoe said his spell warming the bench had been a frustrating one but insisted it has only strengthened his desire to be successful in Scotland. I'm just hungry to do well. I'm probably even hungrier to do well as I haven't played at Bournemouth. Sometimes it's nice when you feel you have something to prove, you find something extra. Hopefully I can get off to a good start. As a forward, getting a rhythm is the most important thing. Once you get a rhythm you can really show people what you can do. Even at 36, I believe when I get that rhythm I'll do well.